Supermarket chain Globus is to equip all its new stores with contactless POS terminals following a successful six month NFC payments trial conducted in conjunction with Telefónica O2, Komerční Banka, Citibank and Visa Europe. 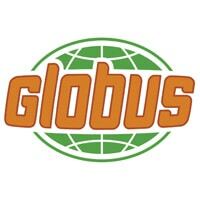 Analysis of a six month NFC payments trial conducted at Globus supermarkets in the Czech Republic has provided positive results overall, according to the participants, and Globus has now decided to equip all its stores with contactless point-of-sale terminals. Telefónica O2 Czech Republic, Komerční Banka, Citibank Europe, and Visa Europe all took part in the trial, which began in July at three Globus hypermarkets in Prague as well as a Globus store in the city of Pilsen. Two hundred clients of both Citibank and Telefónica as well as two hundred common clients of Komerční Banka and Telefónica took part in the trial. A total of 4,500 NFC transactions were carried out without technical issues by Komerční Banka customers during the trial. “From the start we have not seen any major technical problems,” says Sirius Zafar, the bank’s director of credit cards. Most transactions were for values of up to CZK 500. Eighty percent of transactions were completed on the first attempt and without any problems, according to Globus’ head of IT, Miroslav Exner. New Globus stores will be equipped with contactless terminals from now on.